I’m James Nevitt, Senior Access and Recreation Advisor. 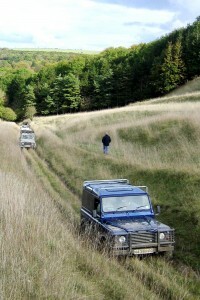 I work at Westdown Camp on Salisbury Plain, within DIO’s Conservation Team. We seek to balance the requirements of public access and recreation alongside military training throughout the UK. Working in access and recreation is about managing expectations, communicating and raising awareness of the estate’s primary use and creating and maintaining links with the wealth of different recreation user groups that exist. It is a constant balancing act, which brings a variety of challenges. As the UK’s biggest training area, Salisbury Plain presents many of these challenges. It is a constant hive of activity, because, as well as serving the military, the Plain is very popular with the public seeking the great outdoors. Large parts of Salisbury Plain Training Area are accessible to the public when it’s not in military use. Visitors enjoy lots of different activities including dog walking, bird spotting, horse riding, cycling and 'greenlaning' – using 4x4 vehicles to explore the countryside using appropriate byways. Managing the Plain to ensure that all of its users – military and civilian – are safe is essential to its day-to-day running. I’ve been working on Project Ubique, which is designed to provide greater certainty, clarity and consistency for public access across the Plain. 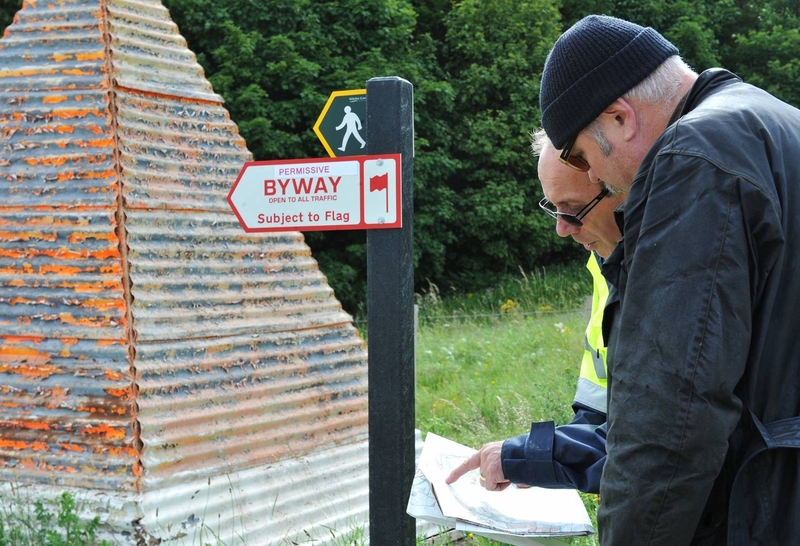 November 2013 saw the completion of the first project phase, which closed public rights of way located in Larkhill Range Danger Area. Due to the high levels of unexploded ordnance, it was essential that these dangerous routes were shut off. In their place, a better, safer and more user-friendly network away from these hidden risks was created. Success has required close working relationships with national and regional user groups, Wiltshire Council, local Parish Councils and the Wiltshire and Swindon Countryside Access Forum. 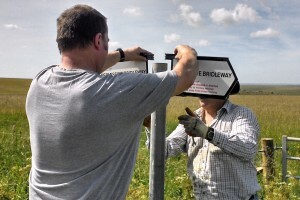 Volunteers have supported the Project, installing many new signs across the miles of tracks and pathways. New clearer routes and improved signage make it easier for people to travel around the Plain. They also help staff and military users better identify whether members of the public are in an area of risk. Through project work, we will strive to maintain the strong links created with all the essential interested parties. This, in turn, will aid the delivery of future phases of Ubique. The benefits of working with the greenlaning organisations are demonstrated in our recently-published Greenlaning Good Practice Guide. This raises awareness of the environmental sensitivity of the Plain and encourages sustainable vehicle use. We’ve done great work so far and, through joint working, I believe that public access, alongside military training will continue to go from strength to strength. The link to the green laning good practice guide is broken. Thanks Ian, we'll update it. Hello Nigel! Hope retirement is treating you well! Thanks Tony ... Retirement treats me well. Great to hear it. Happy New Year!